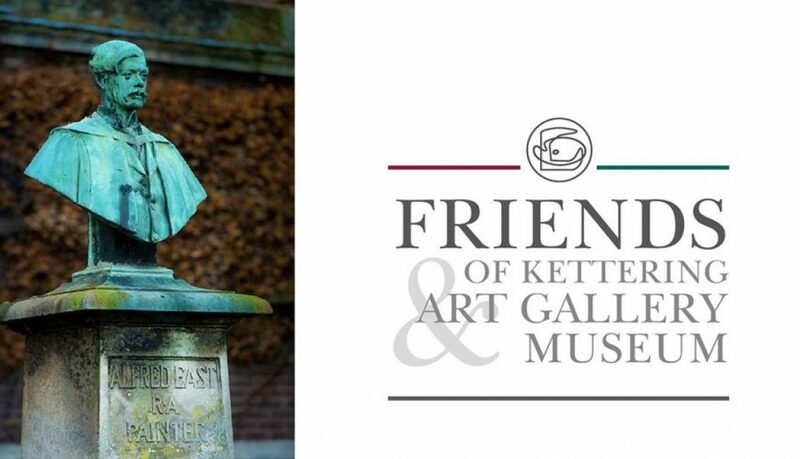 The Friends of Kettering Art Gallery & Museum invite you to celebrate Christmas with them at this month talk at the Alfred East Art Gallery, Kettering. Friends and their partners are all invited. £4 per person, free to Friends members. 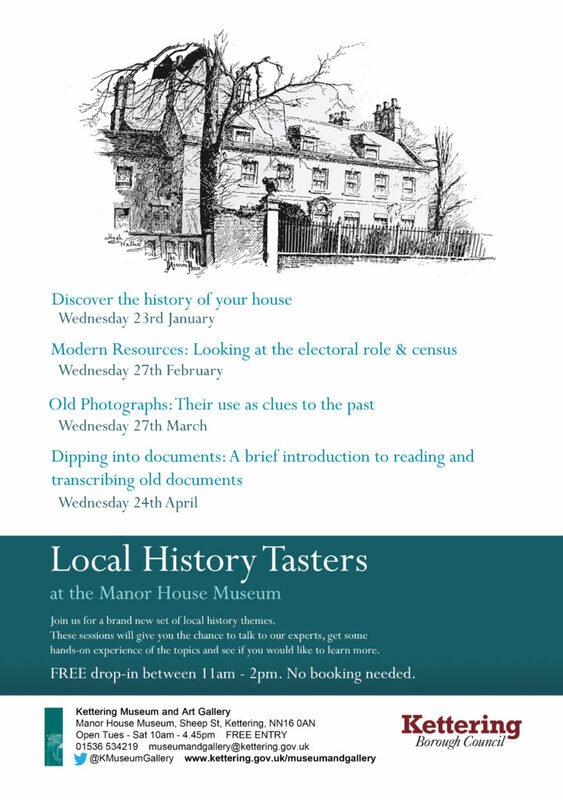 Family history sessions are held at the Manor House Museum and run by local historian and professional genealogist, Andrea Pettingale. 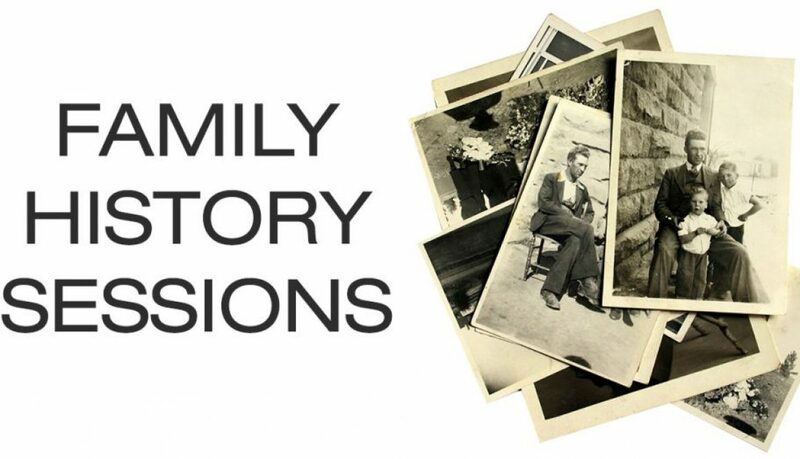 Sessions cover a range of useful topics to guide you in discovering your own family history. 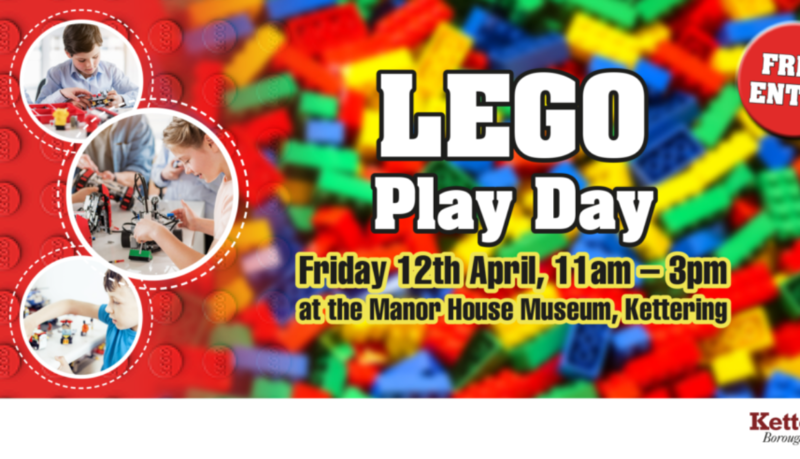 Head to Kettering Museum & Art Gallery and let your imagination run wild at our Lego Play Day. Come along and make your own creations and see if your model is a winner! 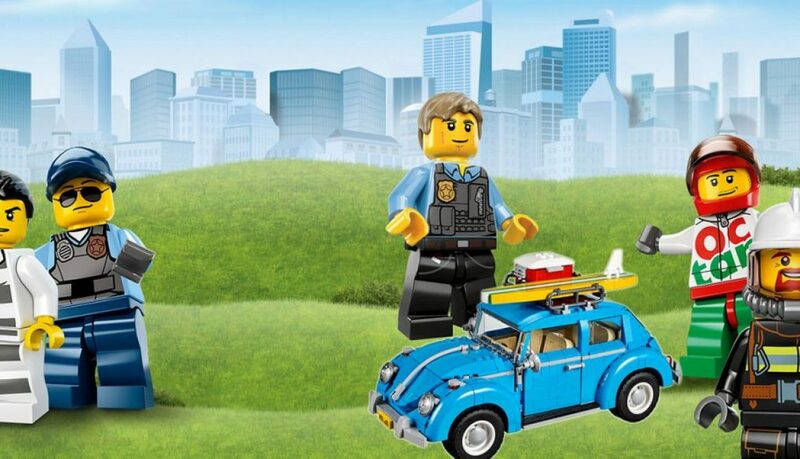 Lego provided. 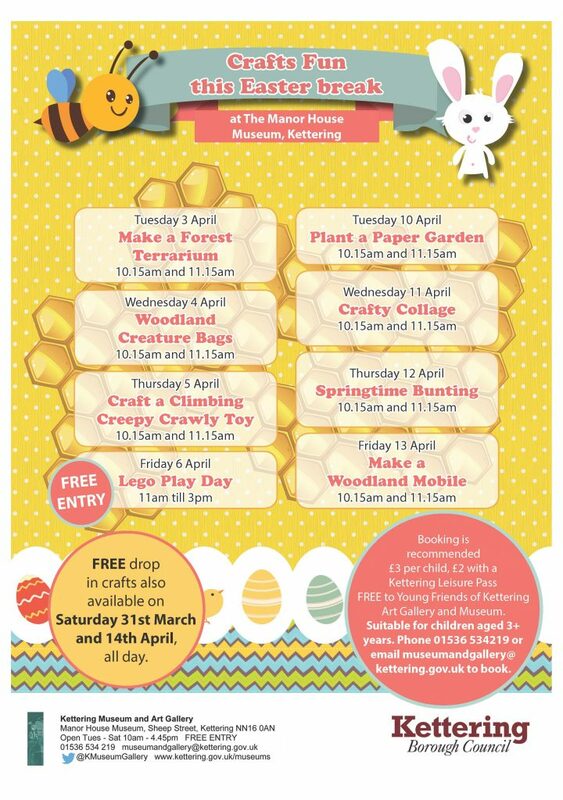 If you’re looking for some Easter arts and crafts activities then treat the kids to craft fun workshops from Tuesday 3rd to Friday 6th April and Tuesday 10th to Friday 13th April at The Manor House Museum. 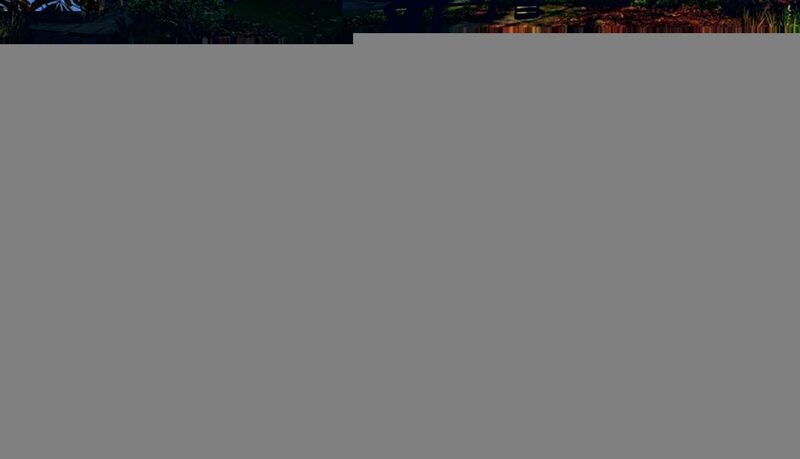 The sessions will last approximately 1 hour and take place at 10.15am and 11.45am. Booking is essential as the museum’s arts and crafts activities are very popular and often sell out. 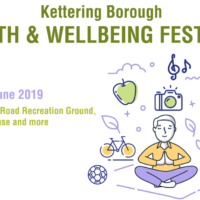 Children – £3, Kettering Leisure Pass Holders – £2, Young Friends of Kettering Museum and Art Gallery – FREE! 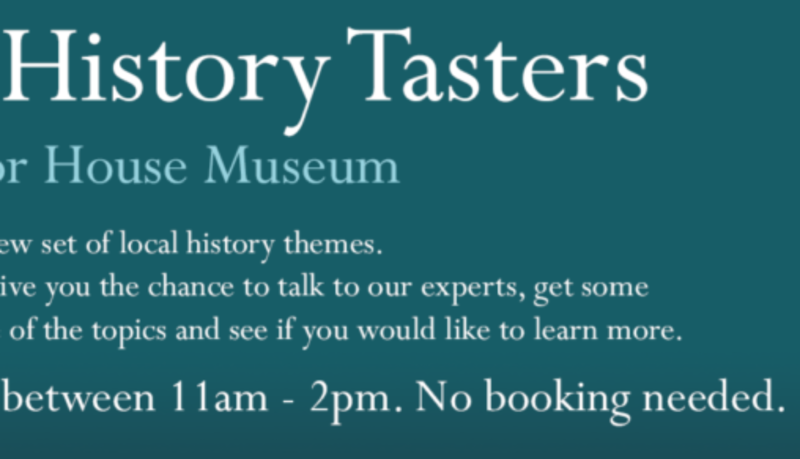 To book, please call the museum on 01536 534 219 or email museumandgallery@kettering.gov.uk.